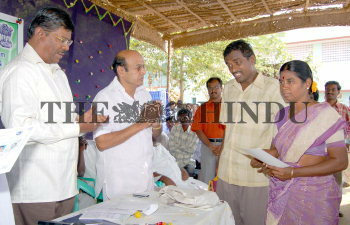 Caption : SALEM: Collector N. Mathivanan (extreme left) participating at the �Guardian installation� function for mentally challenged in Taramangalam on February 27, 2007. National Trust Member Athiyannan is also seen. Photo: K.N. Muralidharan.